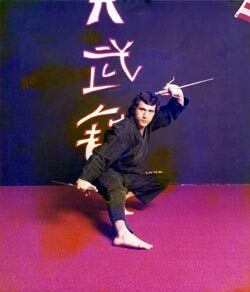 Prior to his training in Kung Fu San Soo, Raul Ries was already a feared opponent. At Baldwin Park High School, he was known as a troublemaker and feared by many students. Even at a young age, with no formal training in fighting, he was fearless and would take on any opponent. While many might think it foolish to teach such an angry young man such a lethal art, Lo Sifu saw an opportunity to harness all the anger into a more manageable form. He found a way to teach Raul to respect human life, just as he had learned over time. Anger ruled Raul’s life for a long time, but San Soo training gave him an outlet for much of this. He was 16 when he was first exposed to the art of Kung Fu San Soo and Lo Sifu, Jimmy H. Woo. His boss, Rueben Ramirez took him to Lo Sifu’s studio, and Raul was impressed by the fighting style of San Soo, as opposed to the other arts he had seen. Part of this impression was influenced by the presence of Lo Sifu himself. His presence made people stop when he entered a room. His confidence radiated from him and earned him respect. Raul respected the strength, skill and confidence Lo Sifu exuded. As an angry young man, Raul recognized the authority of this man. The fighter in Raul was originally drawn to San Soo at first sight, but the man, Lo Si Fu, was the reason he continued. Raul began training with Lo Sifu in 1965, but his training was interrupted by his Tour of Duty in Vietnam, as a young United States Marine. As a high school senior, Raul was forced to enter the military after severely injuring another student in a brutal fight. The judge gave him the option of entering the military or going to jail. Raul wisely chose the Marine Corps, and was soon on his way to Vietnam. He was in ALPHA Co 1st Bn 7th Marines, in a highly trained group called the Bounty Hunters. He served two years in the Marine Corps, before being honorably discharged in 1968. During his Tour of Duty in Vietnam, Raul earned two Purple Hearts. After his discharge, Raul returned to Lo Sifu’s studio and resumed his training. Lo Sifu saw potential in Raul and began to disciple him. He was more than a Master to a young student; he treated Raul like a son. Lo Sifu became the father figure Raul desired. He was able to teach Raul how to reign in some of the anger he had built up inside over the years. Unfortunately, the control was reserved for the studio. Out on the streets, Raul was still an angry fighting machine, and now he was trained to kill. During Raul’s training, Lo Sifu chose him to participate in the exhibitions he organized. They demonstrated Kung Fu San Soo at the Pomona Fair, Chinatown’s annual festivities and many other events. Lo Sifu used Raul as often as he was available. This was an honor for Raul, knowing Lo Sifu chose him to illustrate the art of Kung Fu San Soo to others. 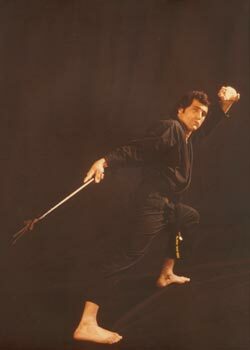 During this time, Raul had earned his black belt and opened his own San Soo studio in Azusa. Within six months of opening his first studio, Raul’s clientele had outgrown the studio and he had to move to a larger facility. The new studio was able to accommodate 70-80 students. However, within a year and a half, he again had to move to a larger studio. At his new location in Covina, he was able to teach over 200 students. It was during this time, on Easter Sunday, April 2, 1972, his life was transformed. Raul accepted Jesus as his personal Lord and Savior and began Bible studies at his studio. Eventually, his Bible study grew beyond his studio and into the Fox Theater. By 1993, his small Bible study had grown to over 10,000 members and they moved to a twenty-eight acre facility in the city of Diamond Bar. Raul ¹ was ordained a pastor in 1975, but San Soo was still a big part of his life. He used his time in the studio to not only train in San Soo but also to share the Word of God. It was important for Pastor Raul to share the Gospel of Jesus Christ with Lo Sifu (Jimmy H. Woo) due to his special relationship with him, and before his death in 1994, Lo Sifu received Christ as his personal Lord and Savior. 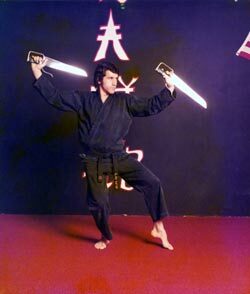 In January of 1980, Raul received his Masters in San Soo Kung Fu from Lo Sifu. Pastor Raul’s reputation as a Master in the art of Kung Fu San Soo has opened many unlikely doors for him to share the Gospel. He has been invited by government officials in South America and South Africa to address their military and police force. Here in the United States, he has taught police officers and demonstrated the art of San Soo at various military installations, with the purpose of sharing the Gospel wherever he goes. As a Christian, Pastor and a Master in the art of Kung Fu San Soo, Raul has been asked many times about the conflict between the two. 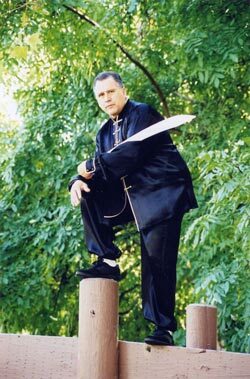 Because Lo Sifu never taught the mysticism associated with Kung Fu, he does not see a conflict. Lo Sifu did not rely on mystical powers, but confidence in his abilities. He would always say, “You can take my life, but not my confidence.” Lo Sifu dedicated his life to teaching Kung Fu San Soo, in its purist form. In memory of his dedication and leadership, whose presence surpasses words, Raul has continued on in this tradition. ¹ Raul Ries is the Senior Pastor of Calvary Chapel Golden Springs and President of Somebody Loves You Ministries.